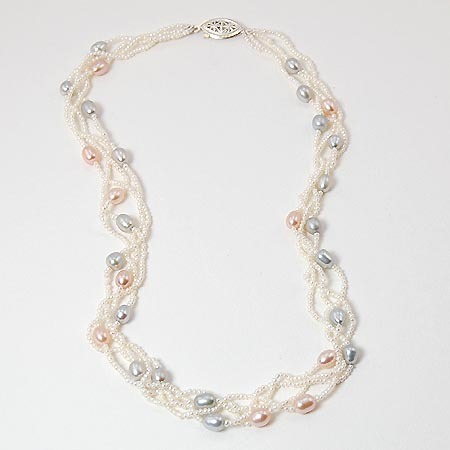 The white baroque freshwater pearls give this necklace an air of old-world charm. 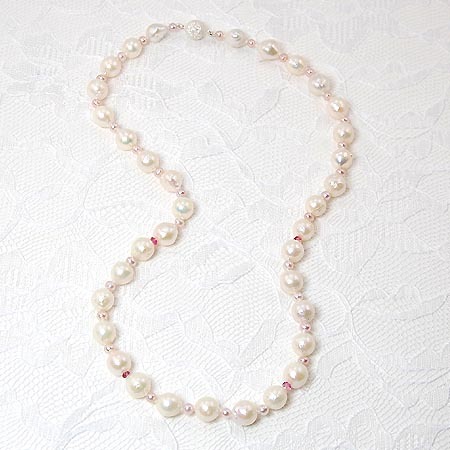 Delicate small lavender pink freshwater pearls and deep pink tourmaline rondelle beads are set as delightful accents between the larger pearls. A unique sterling silver magnetic glitter ball clasp makes it easy to quickly close this 18.5 inches long necklace. But please note that magnetic clasps should not be worn with a pacemaker. The tourmaline gemstone is most associated with love and other matters of the heart.